Just what is Nintendo's big NX secret? As the reveal of the Nintendo NX draws closer, it feels like we're finding more questions than answers. Nintendo is maintaining the shroud of mystery around its next console, and according to a report from a recent investors meeting Shigeru Miyamoto said the company didn't show it at E3 for fear of competitors stealing its idea. But what idea? What's this big NX secret that Nintendo is so heavily guarding? In a separate interview with the Associated Press, Miyamoto reiterated there's "an idea" the company is working on, which makes it sound like this could be something very different to what we've seen. Nintendo has already alluded to a "brand-new concept" in the NX, so we're keeping our minds open. Here are five things that Nintendo's big new idea could be. Nintendo is more interested in virtual reality than we thought. In a shareholders meeting the company admitted it was "researching" VR technology, according to someone who was present. Twitter's NStyles attended the meeting in Kyoto and claims Nintendo's Shigeru Minamoto said Nintendo was researching VR but has concerns about users playing for long periods of time. He also added that Nintendo wants to release a device that carries value, is affordable, and wants parents to "feel at ease". Miyamoto also said that he thought the reactions of people who tried VR at E3 was good, with a "but". What that "but" was is unknown - the next comment was kept off the record. It's no surprise that Nintendo is interested in VR - who isn't? - but whether it's something that could come to the NX is a different matter. The company has expressed that it would only be interested in getting into VR when it's mainstream. A report earlier this year claimed that the NX release was pushed back to 2017 so Nintendo could incorporate a VR element, but this has yet to be corroborated, so don't pin your hopes on it. However it's feasible that the Nintendo NX could do something akin to the Samsung Gear VR, but rather than a phone slotting into a headset, it's the NX controller. It would mean feasible, affordable VR that might be better for bite-sized experiences. Beyond that, we can't see virtual reality being a bigger part of the NX system. Nintendo still owns the dedicated gaming handheld space, but even the 3DS's days seem numbered when you consider how rapidly mobile gaming is improving. There's been a lot of noise about the NX having a big portable element. Multiple reports have claimed that the NX will likely include a mobile device that could be used with the console or taken on the go. The Wii U was a step towards this idea, but the controller could only be taken a short distance. 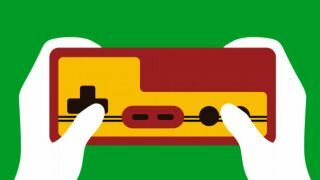 The handheld theory feels like the most likely of all of them, especially after a 2013 report claimed Nintendo combined its handheld and console divisions. However, there are still many questions. Would it be powerful enough to run full console games (maybe slightly downgraded)? Will it play 3DS games? Will it also become a successor to the 3DS that can be bought separately? We could see Nintendo having a cross-buy/cross-save system over the two systems. But let us pose another potential scenario: the NX is just a handheld that can also be plugged into a TV. It feels like Kinect's days are over - at least until virtual reality hits the Xbox. Nintendo's Wii was a much bigger success story, one that literally shook things up with a control system that worked well with games and made the console accessible to a wider audience. We'd like to see a version of Xbox One Kinect that works more reliably and has better games to establish it. It seems only a matter of time before full motion controls on consoles become better adopted - it would be interesting if Nintendo was the one to make it happen. Nintendo's Quality of Life initiative appeared to die an early death. Nintendo saw potential in health and fitness, and designed a system that included sensors for improving sleep. However, the the system was put on hold. "We do not feel that we are currently at a stage where we can commercialize a product that deals with sleep and fatigue," said Nintendo president Tatsumi Kimishima earlier this year. "So we are not planning to launch any products in this area in the fiscal year ending in March 2016. However, we do believe there is potential in the QOL sector, so we will continue to consider further development in this area." There's clearly still interest here, so it's possible the NX could have a big health and fitness element. Perhaps this will feed into the portable element - or maybe it will be something else entirely. This is probably the least likely scenario, but bear with us: what if the NX was actually really, super, mega powerful? And Nintendo is keeping hush because it wants to surprise Sony and Microsoft, which are both now embroiled in a power battle. Nintendo is about accessibility, and if this scenario were to come true it would surely mean a very expensive console. And after Nintendo's Reggie File-Aime commented that the company isn't concerned with specs and power, it seems very unlikely - but just imagine Nintendo dropping an Xbox Scorpio-level console months before Microsoft. There's another, more possible outcome here. A patent surfaced last year detailing a (potentially portable) console that could be attached to a "supplemental computing device" that would provide more resources. That means the NX could primarily be a handheld that hits console-level specs when it's tied to your TV. It could also mean Nintendo would let us upgrade our consoles without having to buy a whole new system - just the "supplemental" device - unlike Sony and Microsoft, which are more likely to refresh everything each time. We're not going to explain this one, we'll just direct you to this video on IGN and let you make up your own minds. It's crazy, but so damn crazy that we're starting to want it to come true.